Another cool week for the nation as Taranaki forecasts a cold wet spring, Southlands pasture cover is well behind last year, and Manawatu farmers are bemoaning the wetest winter on record. Calving is progressing well and managers have been ruthless in culling late calvers and any inefficient cows, as they look to minimize the losses in this difficult year. 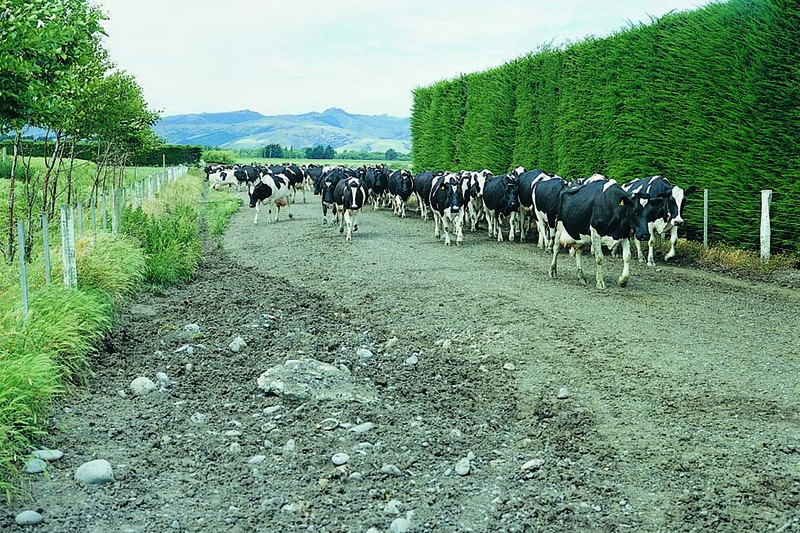 DairyNZ is leading the charge with pasture feed management the focus in it's advice, as the potential to create and utilise quality grass to drive production has been found wanting in some farmers management skills. One negative outcome of the heavy cow cull, is the loss of beef cross bobby calves conceived in these late cows, that the beef sector is desperate to purchase. Recent activity on the milk futures market indicated a market lift, and so it proved overnight, as a reduced volume milk auction lifted across the board by 10.9% and whole milk powders by 12%. This is the second rise in a row for the global platform and analysts are in agreement the bottom has been reached, and now it is a slow grind back to economic sustainability that will only continue if global milk volumes ease. More evidence of the sectors pain, is seen with the loss in equity and profits by sharemilkers, support workers jobs at risk at Fonterra's Clandeboye plant, the milk intervention process starting in Europe, and Rabobank warning low prices could be here for longer than earlier expected. Landcorp have announced a big drop in profit as a result of the dairy downturn, but last season was saved somewhat by the extensive use of the guaranteed milk price scheme. Fonterra’s purchase of shares in Beingmate suffered a $200 million dollar hit as a result of the Chinese sharemarket crash and this will put further pressure on the payout. Interest in goat and sheep milk schemes builds, as farmers may have to look past the cow and powder production, in favour of more specialist operations to convert pasture into milk. "Fonterra’s purchase of shares in Beingmate suffered a $200 million dollar hit as a result of the Chinese sharemarket crash and this will put further pressure on the payout." Maybe affect the dividend but surely not the milk price. Re Landcorp profit and Sharemilkers. Landcorp are sharemilkers for which ever entity now owns Crafars, that must hurt. Then it must be so? Except some of the USDA figures out this morning are lower than Tuesday's gDT prices. And it appears Australia and NZ are both starting this season with higher milk production than last. Agriculture:Finance's classic: price is down, so produce more to compensate. http://www.stuff.co.nz/dominion-post/news/71815807/sfo-investigates-86m-.... Any one going to write an article about this debacle? these are the people who were supposed to train us in good farming practices or was it just a con all along? Good old governmnet rip off... add it too the list of failures, solid energy.. landcorp... And they have the cheek to run a story on Paul Henry this morning calling farmers illiterate! Unlike the government most of the farmers I know are at least honest.